Want five new ways to explore Southern Australia’s best beach playground in 2018? 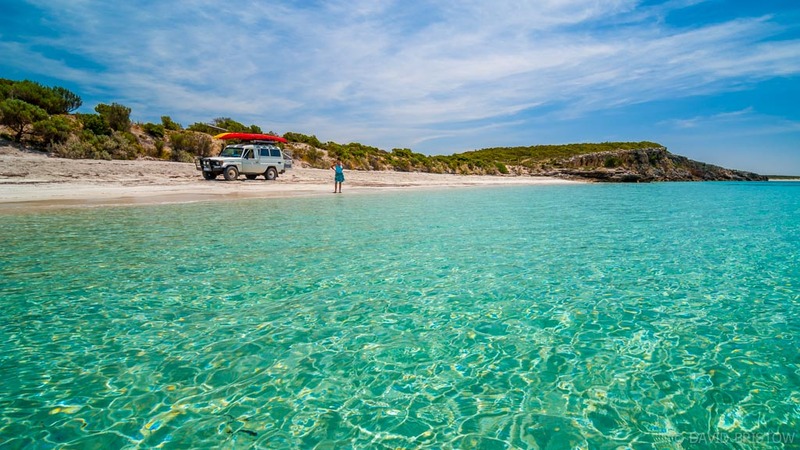 Here’s our pick of top outdoor adventures on the unmissable Eyre Peninsula. Every winter at False Bay, divers and snorkellers take the plunge to witness thousands of giant cuttlefish performing a startling mating spectacle. Flaunting ever-changing colours and patterns in shimmering displays, these Australian Giant Cuttlefish complete for mating rights over a much smaller gathering of females, and this is only place in the Spencer Gulf to see it. The cuttlefish are amongst the largest in the world, measuring around 60cm and weighing up to 5kgs. To witness the spectacle, arrive between May and August and explore the bay just west of the Point Lowly lighthouse. If you are looking for a free camp close to the action, head to Fitzgerald Bay Bush Camp which lines a unique shingle beach shoreline. There are toilets and drinking water at the bay’s northern end, and nearby Point Lowly has a boat ramp and a campground with wheelchair accessible toilets, coldwater showers, a picnic shelter, playground, drinking water and an RV dump point ($8 per night, payable on site, maximum 14-day stay). To get there, turn off the Lincoln Highway (B100) 65km south of Port Augusta onto Fitzgerald Bay road and follow the signs. If you go, don’t forget your fishing rods. Fitzgerald Bay’s enviable angling list includes salmon, snapper, tommy ruff, kingfish, garfish, blue swimmer crabs and the razorfish and cockles that are easily gathered in the shallows off the beach. The wild seas that wrap around the windswept tip of the Eyre Peninsula break onto a vastly contrasting coastline of monstrous sand hills, ravaged limestone cliffs and arcing, white-sand beaches. National parks on both sides of the peninsula provide incredible wilderness escapes: Coffin Bay to the west, and Lincoln National Park on a bay three times the size of Sydney Harbour. On Lincoln’s side you can set up a beachfront camp at Fishermans Point or September Bay, or load up the 4WD and navigate sandy tracks to the secluded Memory Cove Wilderness (book in advance). Travelling south across the park, conventional vehicles can safely reach Wanna’s huge wave of sand dunes, gradually marching inland to cover old growth coastal mallee, eucalypt and tea-tree woodland. A lookout on the edge of Wanna Dunes takes in sea views of granite outcrops and steep, limestone cliffs carved by endless southern swells. Got a 4WD? Tackle the track that crosses steep, shifting dunes to Mary Ellis Wreck Beach and spot the wooden sailing ketch beached more than 100 years ago. If you go, don’t miss a trip to Taylor’s Landing, an idyllic swimming spot tucked in the lee of Taylor Island with a gorgeous white-sand beach, shallow, see-through seas and curious sea lions. 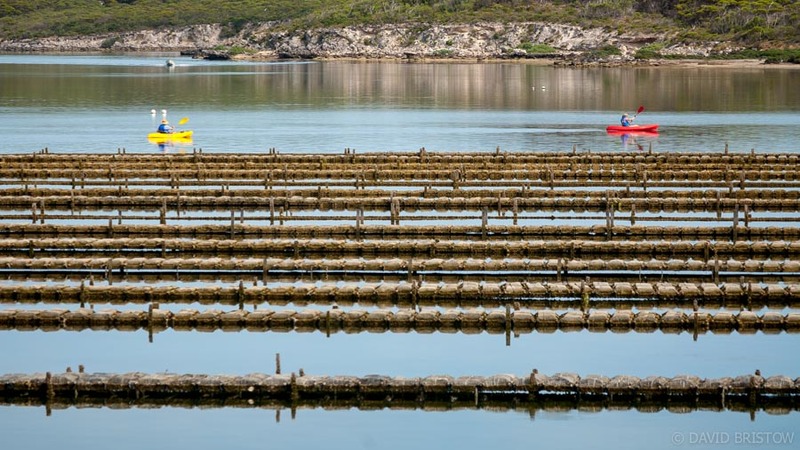 On the opposite side of the Eyre Peninsula, Coffin Bay’s tranquil inlets and calm water channels are perfect for paddling and nurture some of the best oysters in the country. 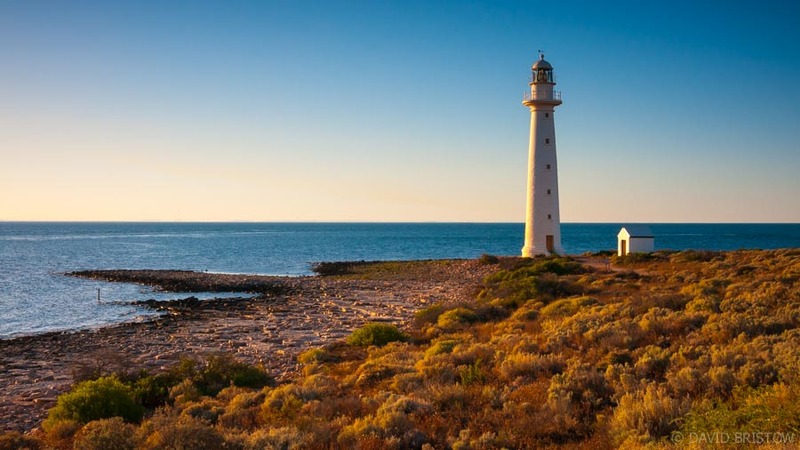 Come summertime, the population of this idyllic seaside haven swells as South Australians stake out their salty beach shacks and spend sunny days kayaking, fishing and sailing. Protecting a rugged coastline of overhanging sea cliffs and sheltered blue bays, Coffin Bay National Park begins on the outskirts of town. Much of the park is 4WD-only, but conventional vehicles can tour the park’s eastern edge. 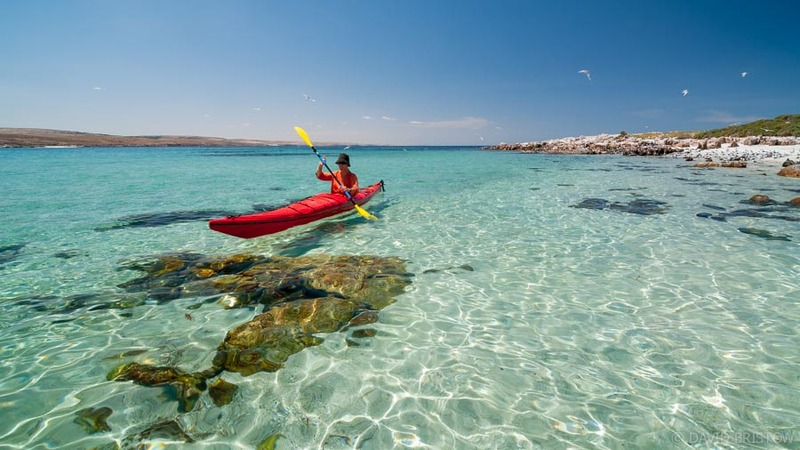 If you go, base yourself at Yangie Bay campground and don’t miss the chance to launch a kayak at Yangie Bay, discover the drifting Coffin Bay Dunes at Almonta Beach, and adventure off-road to Point Sir Isaac, spotting western grey kangaroos and emus en route. The barely rippling sea suddenly explodes as dolphins hunting blue salmon trigger a seagull feeding frenzy. Back on the beach it takes mere minutes to reel in our first catch of salmon and our easiest seafood dinner ever is devoured at sunset, our feet dug into the sand on one of South Australia’s prettiest beaches. The big attraction at Lipson Cove, signposted off the Lincoln Highway, 290km south of Port Augusta, might be its lovely bay, just perfect for paddling, or Lipson’s tiny offshore island that you can walk to at low tide, or the clifftop walk trail that leads scenically south. More than anything though, Lipson Cove is a top place to camp with roomy sites, no camping fees and no time limits on your stay. You’ll find it halfway up the Eyre Peninsula’s eastern coastline and though you’ll need to be self-sufficient, the site provides toilets, fire pits and rubbish bins too. Descending a timber staircase to the base of Talia Caves, we find ourselves starring into the cavernous mouth of The Woolshed, gouged out of the cliffs by unrelenting waves, its honeycombed ceiling filled with tiny swallow nests. The nearby Tub tests our flexibility more, calling on us to climb down into a collapsed crater cave 50 metres in diameter, then push through a narrow tunnel to reach the sea. Close by, dominating a hilltop surrounded by flaxen wheat fields, a jumble of giant pink boulders and pillars pique the curiosity of passers-by: huge granite inselbergs known as Murphy’s Haystacks. Sculpted by the winds that howl across the hill, these big pink mounds of 1500-million-year-old granite awaken the climber within and are impossibly photogenic at sunset. Happy New Year! This is our backyard you are travelling in. We were down that way before Xmas and had a lovely week at Fitzgerald Bay before moving down to Port Neill. As you say, it beautiful country, but there is sooo much more. I couldn’t agree more! 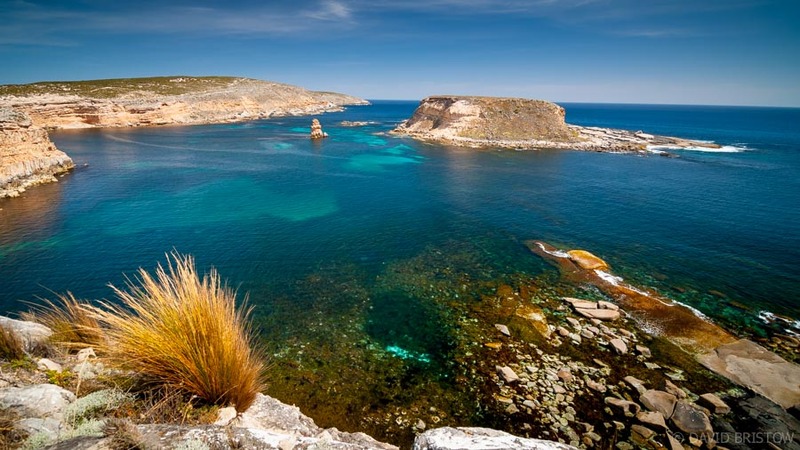 South Australia’s coastline is one of our favourite places to explore and camp, and we can’t wait to get back!